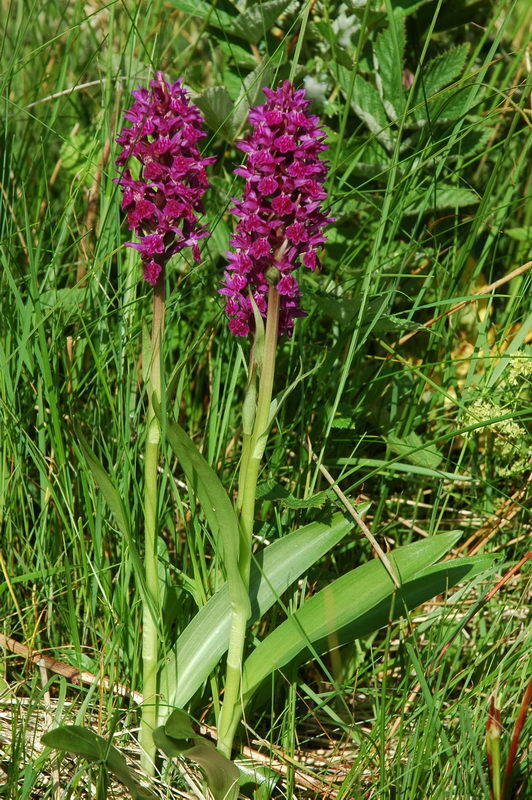 Northern Marsh-orchid found in Ireland, Scotland and England and was described as separate species for the first time in 1920. In Denmark, the first recorded in the late 1930s, North Jutland. 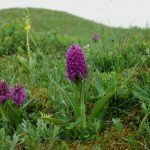 In the rest of Scandinavia, the species only found in the Faroe Islands and the west coast of Norway where it’s from Rogaland to Orland Sor-Trondelag on beach meadow and calcareous meadow near the sea. Chromosome Numbers 2n = 80. 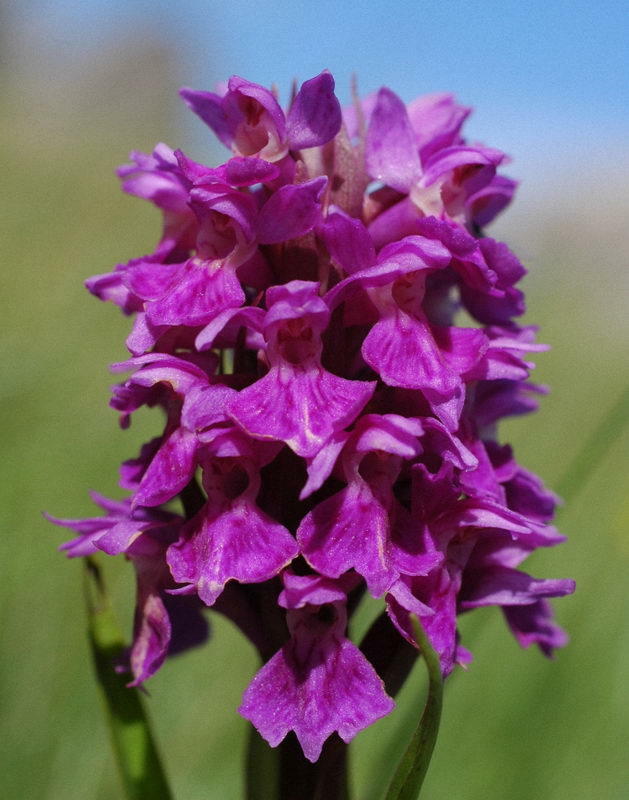 Northern Marsh-orchid is a rare species, and as a result of being from Eastern Norway took years before I got the pleasure of experiencing plants in full bloom on the meadows and dunes at Jæren. The plants are 10-30 cm tall, stout plants with thick, pointed leaves. 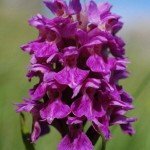 The lower leaves are broadest towards the middle, without spots or a few spots towards the tip of the leaves. Inflorescence is dense with many flowers. The flowers are large, red-violet with rhombic lip with spots and stripes, and the lip is also tripartite with equal size lobes. The plants blooms in late June. 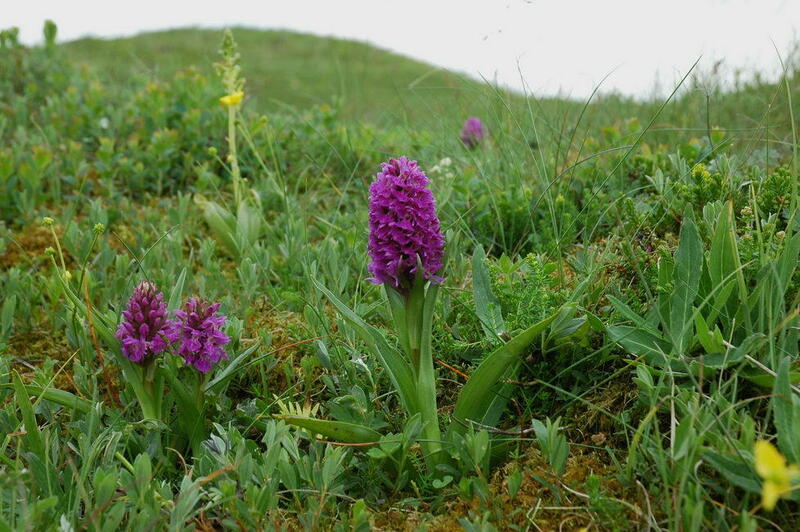 Northern Marsh-orchid in Norway are protected by the draft Act and considered highly endangered Norwegian Red List.